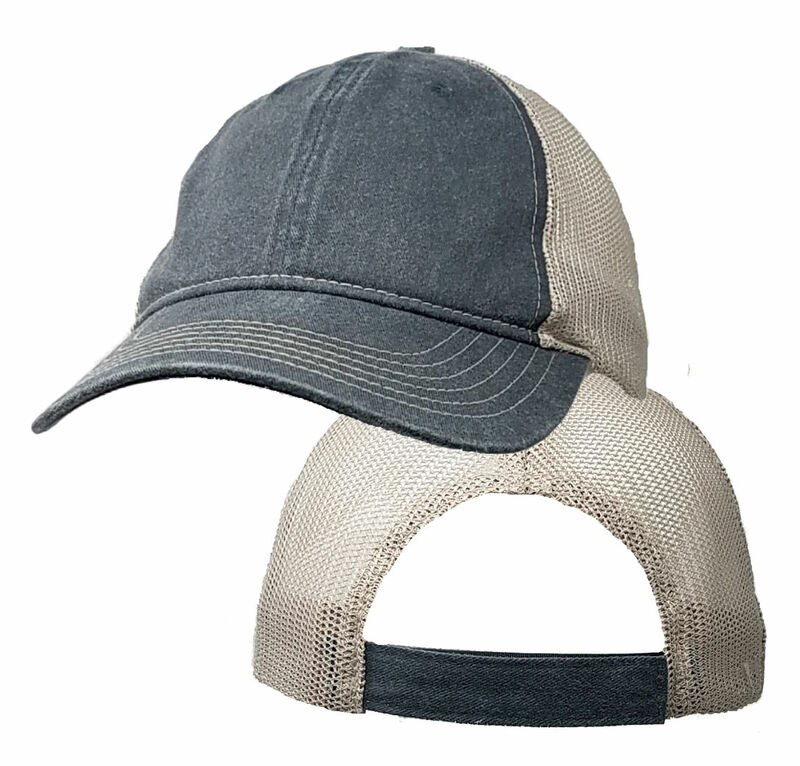 This vintage styled low profile mesh cap features a pigment dyed charcoal gray bill and front with khaki soft washed mesh for the aged look. Loved this hat when it came in! 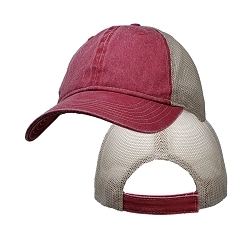 Very excited to have a trendy looking trucker style hat that actually fits by big noggin. It's hard to find cute hat styles that are also unisex or suitable for a woman. Getting this one monogrammed and can't wait to wear it! Happy to be able and find a ball cap that fits!!! I had to let the Velcro strap out to fit my melon and after taking it off and laying it down a few times I realized I would have to be careful because the Velcro attached to the mesh and it messed up the mesh, otherwise perfect!!! Love it. Big Head Caps are great folks to deal with. You can't go wrong. Great fit, smart construction, good price and fast, safe shipping, what more could you want? Bigheadcaps never disappoints. Every hat I've bought fits and looks great. The Vintage Grey Khaki low profile is my new favourite for hot days in the sun and at work. The Vintage look makes it look broken in straight out of the box. 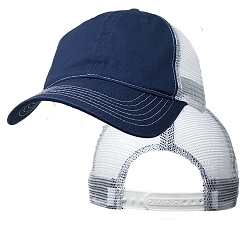 The mesh part is not stiff like other regular mesh trucker hats. Good quality stitching and finish.